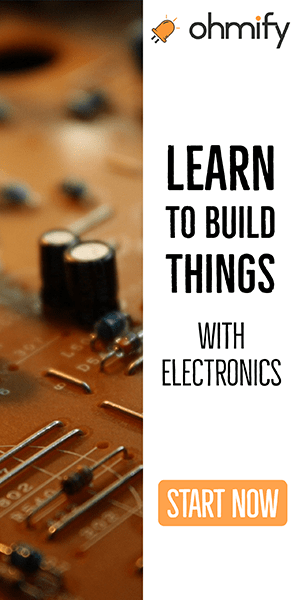 Because of a mistake made by yours truly, I decided to write about how to repair electronics. 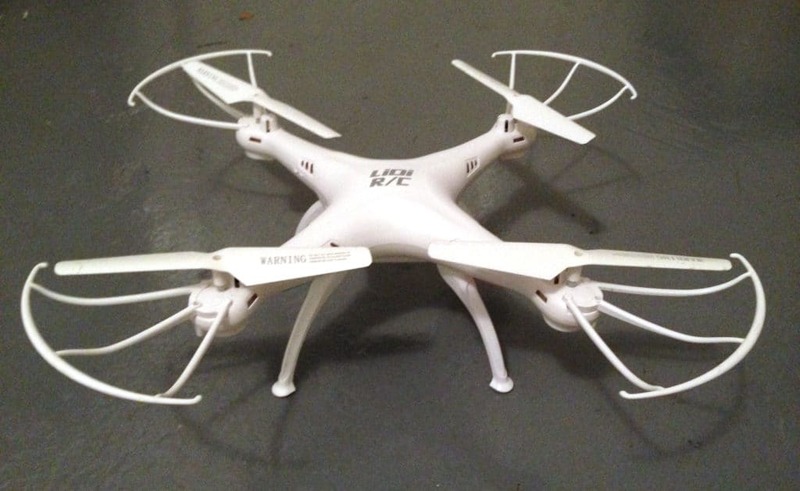 You see, I got a drone for Christmas this year. It was really windy outside that day. However, I was so excited to take it for a spin! 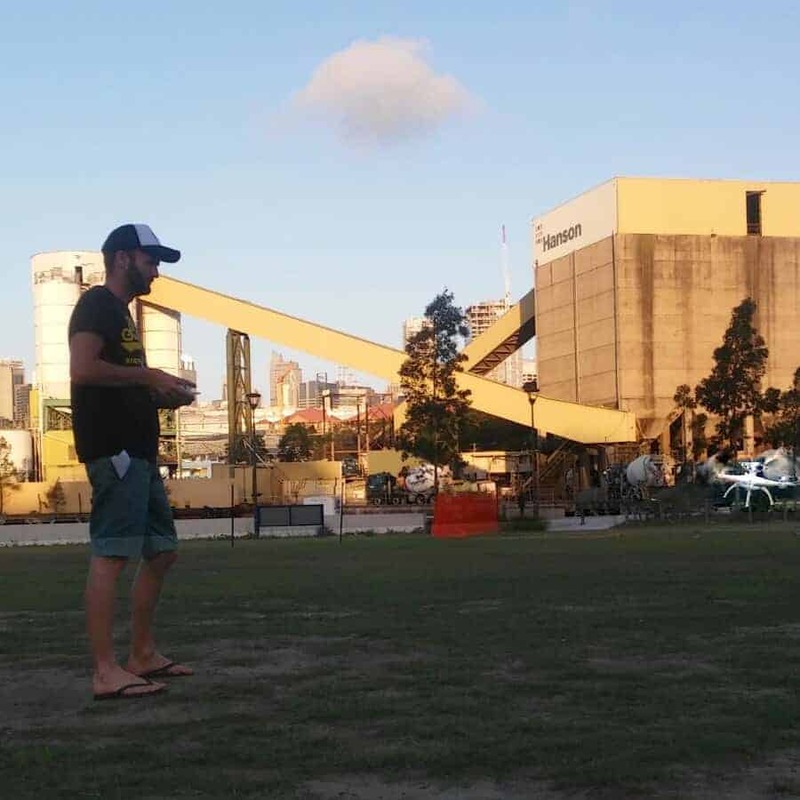 I found a big open space, put my drone down on the ground, and started the take-off. I only got the drone a couple of meters up into the air before the wind took charge. It blew it further and further away from me until it crashed into a tree and fell to the ground. This didn’t stop me though. I started over again. But the same thing happened. It was impossible to control the drone in the strong wind! After maybe ten crashes, one of the rotors stopped working! I hoped it was just a flat battery, but it was not. 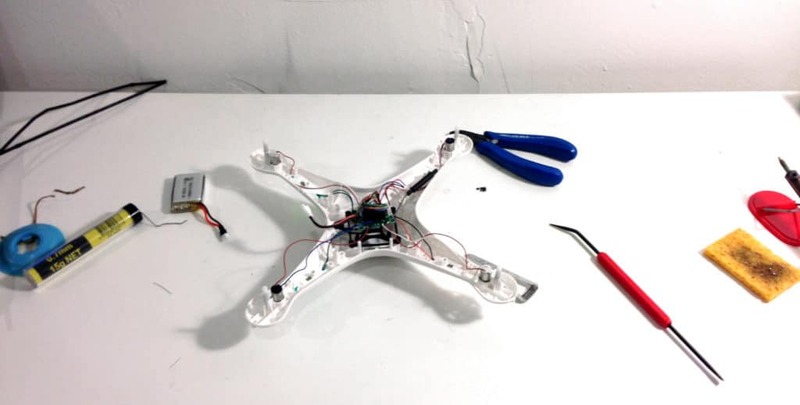 Many people ask me about tips on how to repair electronics, so I decided to write about how I fixed my drone. Before I could fix my drone, I had the to find the root of the problem. One motor was not running, why? I started by carefully unscrewing all the screws to open the chassis. When I opened the chassis I got an immediate positive surprise. Do you see it? One of the wires of the motor that was not working was loose! Wow, I couldn’t believe it would be so easy. “Now I can just quickly solder the wire back on and everything will be fine”, I thought. Unfortunately, it turned out to be more complicated…. I resoldered the loose wire and connected the battery. Without even turning on the power button, the motor I had “fixed” started spinning like crazy. It turned out the loose wire was not the problem. 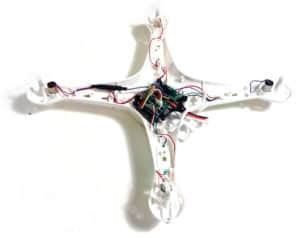 It definitely was a problem, but resoldering it did not repair my drone. When I build a new thing, 4 out of 5 times it does not work on the first try. One of my strategies for finding faults is to measure voltages around the board. From my circuit diagram I can select important points in the circuit that I need to check. Two obvious points to check is Vcc (or the plus connection) and ground (the minus connection in most cases). 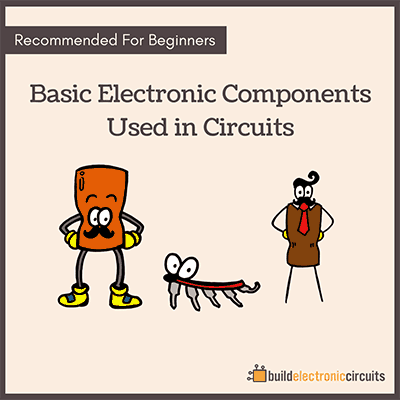 Other important points depends on the circuit, but could be the control signal to a transistor, the state of an output pin from a integrated circuit, and more. Unfortunately, it’s not common that manufacturers of electronics give the circuit diagram for their products to the end-user. So I did not have a circuit diagram for the drone. One thing I did have though was three working motors. 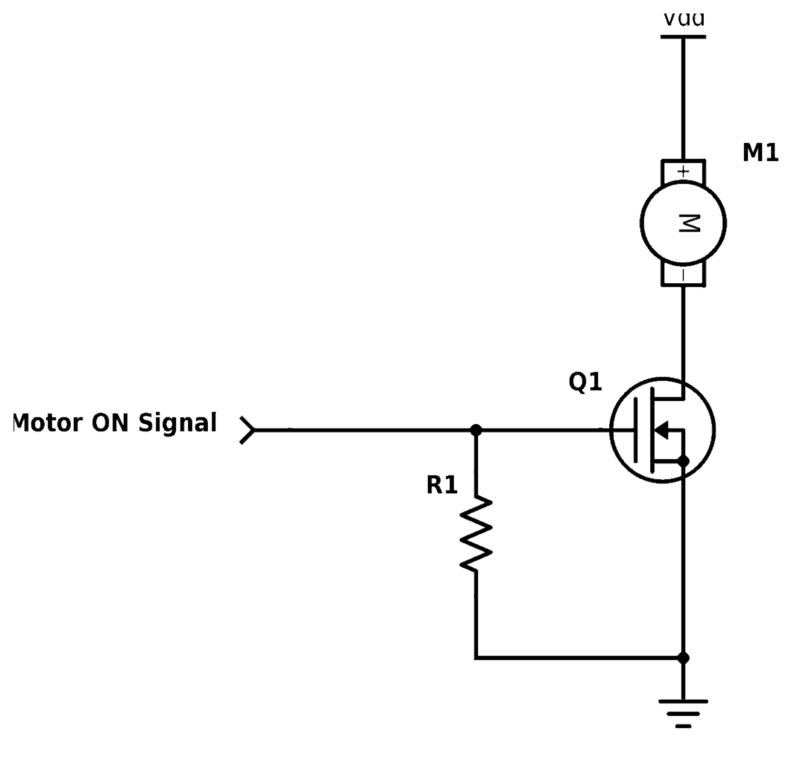 By measuring the voltage on the wires of the other motors, I would know what to expect from the non-working motor. I also had plus and minus connections that I could measure to see if they had the correct voltages. For a motor to run, it needs to have current running through it. For a motor to have current running through it, it needs to have a voltage drop. That is, the voltage on one side must be higher than the voltage on the other side. 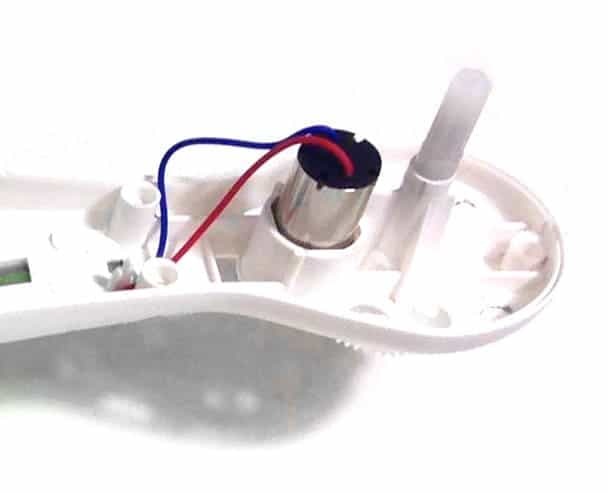 Since the power button was set to off, the correct behavior of the motors would be to not run. I measured the voltages and the working motors had the same voltage as the plus connection on both wires, so they were not running. Then I measured the non-working motor (which was running at full speed), and it turned out that the one wire that had been loose now had a voltage of 0 volt. While the other wire had the same voltage as the plus connection. It was like connecting the two motor wires directly to the power source. No wonder the motor was running at full speed! I had peeled off another layer in my search for the real problem. The voltage at one of the wires of the problem-motor was at 0V, but should have been at the same voltage as the plus. Why? Maybe there’s a calibration problem that makes the motor spin really fast? Maybe there’s a problem with the electronics controlling the motor? I quickly ruled out the calibration theory. The motor was spinning even when the power switch was off. I didn’t see any way this could have something to do with calibration. 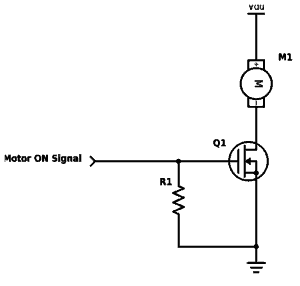 (*) Shorted or a short-circuit is an unintentional connection between two point. Before I could investigate these theories further, I had to confirm that the circuit I drew above was correct. To do that, I used the continuity tester function on my multimeter to find which components were connected to the motor. 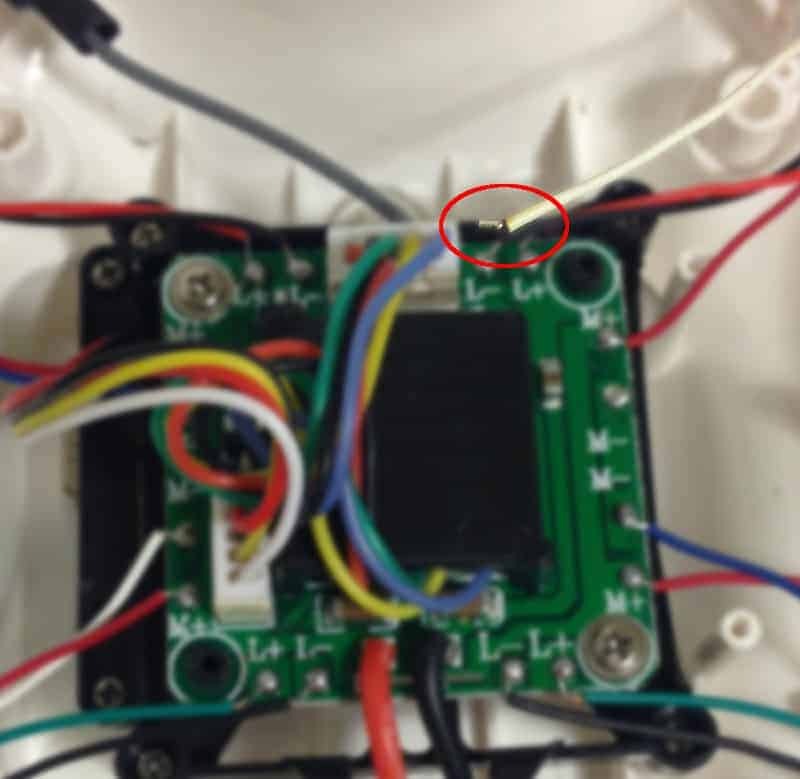 I quickly found that the problem-wire of the motor was connected to an integrated circuit with the markings “9926”. I googled around and found a datasheet. 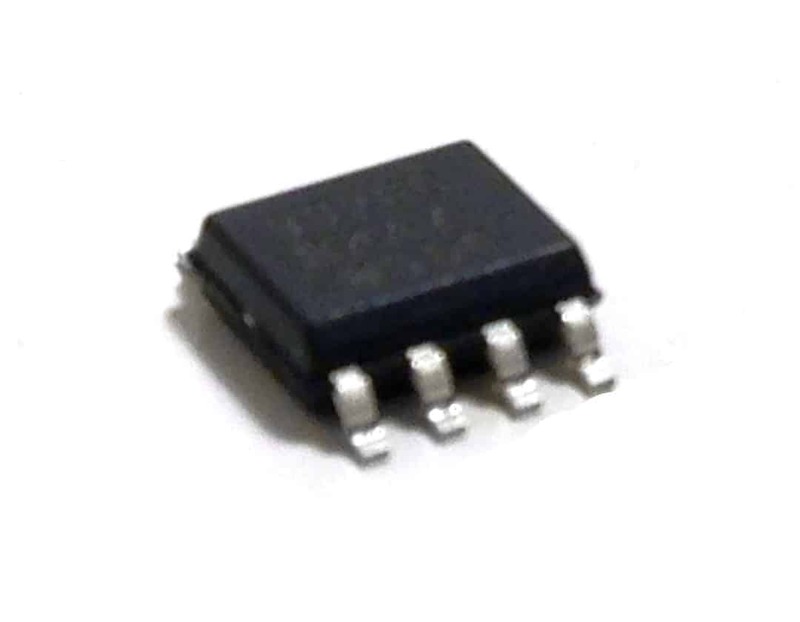 Turns out it’s a chip with MOSFET-transistors. And I was able to verify that it was connected as my circuit above. Bingo! Next, I used my continuity tester to measure between gate and ground. The test showed positive. That meant there was a short-circuit. I checked the other motors, none of them had this. One of my theories was that the resistor connected between gate and ground was broken. Since this was the easiest theory to test out, I desoldered the resistor and measured again. That could only mean that the chip was broken. I found a replacement chip on Element14 and ordered it. The chip cost $1. Shipping cost $30. Ah! Anyway, the chip arrived about one week later. I desoldered the old chip and resoldered the new chip. Then I added the 10k resistor that I had removed. Voila! The drone works again!! First, find out what is not working. In my case it was easy: One of the motors did not work. Next, find out why it is not working. This is the hard part. Try to find a circuit diagram for the thing you want to repair. 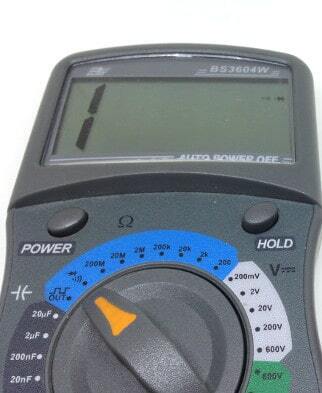 Use a multimeter to measure voltages and look for suspicious voltages. From what you learn, create theories about what the cause of the problem is. Test the theories that are the easiest to test first. Continue until you find the problem. Then fix the problem. Sometimes you’re lucky and you only need to attach a wire that has come loose. Other times you need to replace a small and hard-to-find component. As mentioned, having experience building electronics is very useful when figuring out how to repair electronics. If you want to get started, I have several books and courses you can check out in the resources section. Have you ever repaired electronics? What would you like to repair? Use the comment field below and let me know your experience and questions. I really got alot out of that, thanks Øyvind for sharing that. 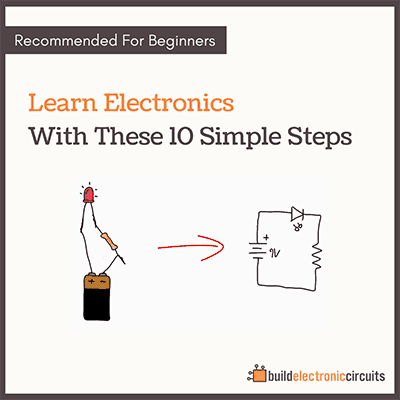 You really do have a way with explaining electronics in a easy comfortable way making it easy to understand. Would have been great to have had an instructor like you when I went through my Air Force electronics course. Wow I want to be an technician for electronic repairing..
thanks for your detailed way of explaining the trouble reserch and subsequent repair .Frankly I’m not sure I would be able to find out the trouble and surely I would have encontered problems in unsoldering the old chip and resoldering the new one, due to its size. I’m really happy, that means that i’m not alone. I like that you said that with a diagram we can select important points on the circuit board that needs to be checked. It might be a good idea to go to a professional if you need to get yours repaired. If I had a damaged circuit board then I would want to know that it will be fixed correctly. Wow. Amazing. I am planning to get into M.I.T, so I am starting early. I’m only 13 and don’t have a complete understanding of some electrical components. Can you please help me with capacitors and transistors? Specifically speaking, I want to know how to use them, how they are applied, what they do, how do you make them do what they could do, etc. None of the videos are helpful. Either they are unclear, I can’t understand their accent, or their language is different. Please help me! Love the logical and straight-forward way that you approach fault-finding. I used to help my father build amps when I was a kit and now I’ve regained an interest in it again. Your tutorials are very helpful in developing my skills. I really like this. I am a technician, though still in school(studying communication technology). Repairing electronic is a little bit tedious but as a professional or someone who has the enthusiasm for that, it always turns out to be a great moment when one problem is thoroughly fixed. 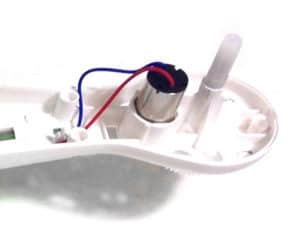 The fact here is that , when handling a particular circuit ( problem), you might not find the solution to the problem at that very moment, so you leave it at that stage, sleep on it, and go back with a fresh idea. Great repair there, definitely nice to see someone using theories from university to repair stuff, even though you don’t necessarily needs to understand all equations of a transistor to fix it. You should look more on digikey for parts, much cheaper on the shipping but i’m located in Montreal so it might be different for you. I think this is the part you were looking for. i sorry for that , i not good in english so pls send me you repair way to me from messenger or tag my facebook wall . I have also a Drone, it didn’t work when I got it. It was refunded but I didn’t have to send it back. It connect to the control, the camera and lights works. But the props engine’s are dead. 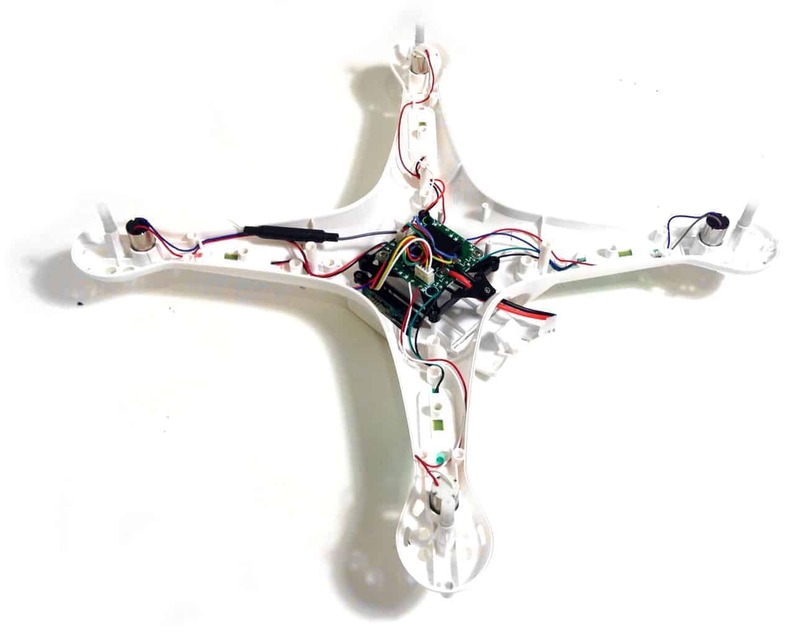 Do you have any ideas abouth my problem with the Drone? I can’t make it put from only that info. If I were you I would look at the electronics around the motor, try to make out the schematics and measure the voltage at different points. What advice would you have for repairing an old TI-83 graphing calculator? I have a DJI phantom 2plus and on taking it out of clean dry storage and fully charging the app can not see the camera. Thanks for sharing t-shoot information and updates and illustrations on the repairs you completed, it really is inspiring to be able to communicate with your experiences. I agree with the techniques you’ve used to explain how to measure voltage levels particularly for this drone model, thanks. Glad to hear that Gregory! I have a Craftsman plunge router. When I turn it on the light in the unit comes on & it hums, but the motor does not rotate the chuck. Any suggestion on how I can trouble the problem?